Hip gardening is smart gardening  and age has nothing to do with it. Hip gardening is about digging in the groove, finding that niche in your own backyard where you can unplug, connect with the earth, beautify some space, and be you. Hip gardening with chic plants is a sassy, punchy, irreverent idea that looks at fresh plant choices for new gardens, while underscoring all of the reasons why the gardening lifestyle is totally relevant to modern culture. The face of modern horticulture is less than inspiring  it’s the fast food equivalent of gardening. Seriously, how many new petunias do we need each year before people just stop caring? Gardeners need chic, sustainable, thriving plants for modern gardens. Furthermore, people want gardens that look like them, feel like them, and that do what gardens should do  feed the body and soul while populating the earth with outposts of beauty. We live in a beautiful world  hip gardeners know the power of planting. Furthermore, if you don’t have to be a fashionista to appreciate good clothing, then you don’t have to be a plant nerd to appreciate the coolest plants. As an industry, it’s imperative that we embrace larger cultural shifts in the way our customers want to interact with us and consume information. Hip gardeners want to feel connected to experts they can rely on, trusting knowledge from a familiar source. Hip gardeners want to appreciate plants through the lens of their own personal style. Furthermore, hip horticultural professionals should seek to put culture in horticulture, to interface people, plants, and passion through a dialogue that effectively leads to planting the world a more beautiful, environmentally functional place. The façades of our industry  the garden centers, nurseries, and public gardens of our business  must evolve aesthetically and functionally. Gardening is poised to undergo a cultural renaissance. 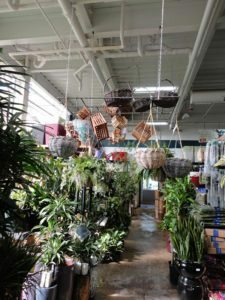 It’s time to start talking about chic plants in a bold-faced, exciting way that makes them seem less like stuff and more like living things that beautify our homes, stylishly complement our lifestyles, and sustain our existence. Hip gardeners deserve it! Chic plants, after all, are more than just plants  they’re the very essence of fashionable gardening. Kelly Norris explains the market’s need to showcase chic plants for hip gardeners. Kelly Norris manages his family-owned Rainbow Iris Farm. A 25-year-old horticulturist, plant breeder, and plantsman from Iowa, Norris is also an award-winning author of three books and a nationally-acclaimed speaker. You can reach him at [email protected] or visit www.kellydnorris.com.